In this review, we’ll be taking a look at the Shark Pet-Perfect II Handheld Vacuum. This handheld vacuum is 15.7 inches long and 6.1 inches tall at the tallest points. The vacuum is also 4.6 inches wide as widest points and weighs 4.6 pounds. The Shark Pet-Perfect II has a slender tube like design which makes it great for reaching into harder reach spots. In addition, the vacuum comes with a handful of different cleaning heads and attachments. The primary cleaning head is the motorized brush roll. 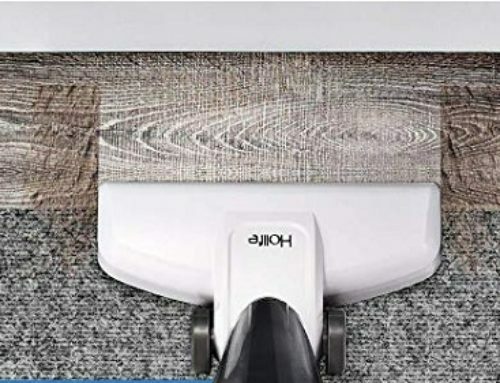 In addition, it also includes the standard crevice tool dusting brush and we have the charging cradle where the vacuum can sit for both charging and storage. We complete a total of 12 unique cleaning tests testing each of our four debris types on three different flooring types. For each of our cleaning tests, we make cleaning passes back and forth measuring the amount of debris that is removed from the cleaning surface. Our testing line includes three different floor types: engineered hardwood floor, low pile carpet, and a high pile carpet. On each of our floor types, we test for different debris types including: rice, kitty litter, cereal, and sugar. Cleaning performance across the board was extremely strong. On our hardwood cleaning test, the vacuums scored flawlessly, 100% across all four debris types. Low pile carpet was extremely strong as well, just slightly lower performance than what we saw on hardwood floors, however, by any measure of reasonable standards, still exceptionally well. And then lastly, we have our high pile carpet tests where once again results were nearly flawless. The only area where there was the slight bit of struggle was on the sugar debris where we only had 91% of the debris cleaned up. Using the Shark Pet-Perfect II Handheld Vacuum is fairly straightforward. We have a standard toggle button to turn the unit on or off. To change out the heads, you simply slide those into the suction slots. Those come out fairly easily. The powered rolling brush does take a little bit more force because we do have the actual power pins in there. So those do need to lock into place but a little bit firmer there and it’s all set. Maneuverability of the handheld vacuum really is what you make of it. 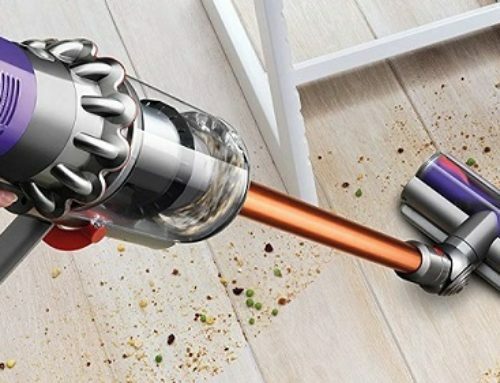 With a cordless handheld vacuum like this, it goes where you go. 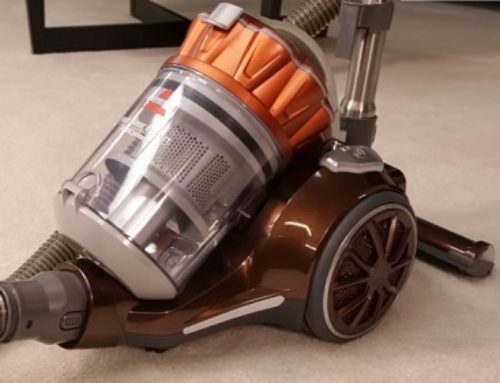 This vacuum is fairly lightweight, just a little bit under four pounds. The 2-bike design is nice, just feels very natural in hand. It’s easy to move whether you’re going up or down or to the side. And then lastly, the battery lasting anywhere from about 14 to 15 minutes is pretty good and I would say a little bit above average from what we’ve seen from other handheld vacuums that we’ve tested. Maintenance on the Shark Pet-Perfect II Handheld Vacuum is also fairly straightforward. To get to the filter and the dustbin, you simply press down this button on top of the unit that detaches the front. We have the filter here so you’ll want to just clean that out or replace as needed, and then the dustbin there, simply do that in your trash can periodically as it gets filled. Annual maintenance cost of the Shark Pet-Perfect II come in at around just $5 a year that allow you to replace the filter a couple times a year. And lastly, we have the battery. Now, you do have the option to buy replacement battery. The replacement battery comes in at around $48 which is great if you can buy a battery but the price is frankly ridiculous. Given that the price for a single replacement battery is almost as much as an entire new Shark Pet-Perfect II unit in its entirety, I ask the question why would you ever buy a replacement battery. So when your battery does finally die on this vacuum, you probably won’t want to bother getting a replacement battery but probably would be better off to just replace with a different unit. All vacuum cleaner reviews go through our standard noise test. For this test, we use a sound meter to measure noise in terms of decibel levels. For that test, we run the vacuum at full power in the middle a bedroom with carpeted floors and we point the sound meter at it standing about three feet away from the vacuum. For our noise test, the Shark Pet-Perfect II Handheld Vacuum came in right around 84 decibels. Overall, we really like this vacuum. It did great on most of our performance tests, but especially the cleaning performance tests where it scored 91% or higher on all 12 of our individual tests. Perhaps the biggest pro with the Pet-Perfect II is simply the motorized brush roll. It’s something you don’t see all that often for cordless handheld vacuum cleaners and it definitely helps to improve the cleaning performance, especially for pet hair. The last noteworthy pro for the Shark Pet-Perfect II Handheld Vacuum just comes down to maintenance cost. At only around $5 a year, it’s pretty inexpensive. By far the biggest negative of this handheld vacuum is simply the battery. Having a battery that costs almost as much as an entire unit to replace is just ridiculous. We dislike the notion that once the battery is dead, the unit is basically dead, as it would just be more cost effective to just get an entirely new handheld vacuum. So that’s definitely the biggest con for us.